At Chicago Internal Cleansing we take pride in offering our clients plans that will help them move toward a healthier lifestyle faster. Our Oxygen / Ozone sauna is truly a revolutionary solution to detox the body. The hot steam from the innovative 02/03 Ozone Sauna opens skin pores so they can effectively absorb the highly concentrated oxygen and, at the same time, expel toxins. SIT IN A SAUNA AND BREATHE OXYGEN! Enjoying a sauna has physiological effects similar to those of exercise. Just by sitting in the sauna and enjoying the warm oxygen, you experience an increased heart rate, increased breathing, and flushing of the blood vessels near the surface of the skin. Our Oxygen / Ozone sauna is truly a revolutionary solution to detox the body. The hot steam from the innovative 02/03 Ozone Sauna opens skin pores so they can effectively absorb the highly concentrated oxygen and, at the same time, expel toxins. The oxygen therapy is utilized to detoxify dermal cells and remove wastes with enhanced blood circulation, refreshing the whole body. 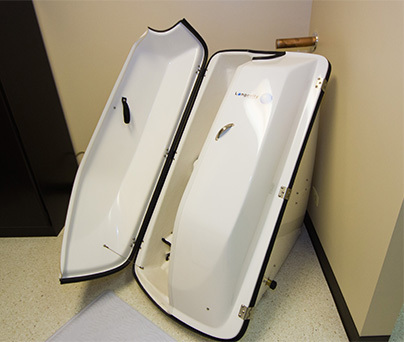 We would also suggest that you try the colon hydrotherapy we offer, the health benefits are numerous. Colon hydrotherapy, also called colonics, is the process of cleansing the colon through the administration of water. Please read more about it on our FAQ page and learn about the colonics preparation process. Please arrive on time for your appointment. We kindly ask that you allow your body the time it needs to complete your session, as well as to be respectful of the next client’s time. A cancellation notice of 24 hours is required, otherwise you will be held accountable to pay for your missed session. Our goal is to educate people on how to eat healthier, feel healthier and live healthier. We will also talk to you about exercise and other athletic activities such as sports. Plus our oxygen sauna therapy and colonics irrigation will help you achieve a healthier mind and body. Feel free to check out our other services or read our blog.